Is A Cirrus Right For You? 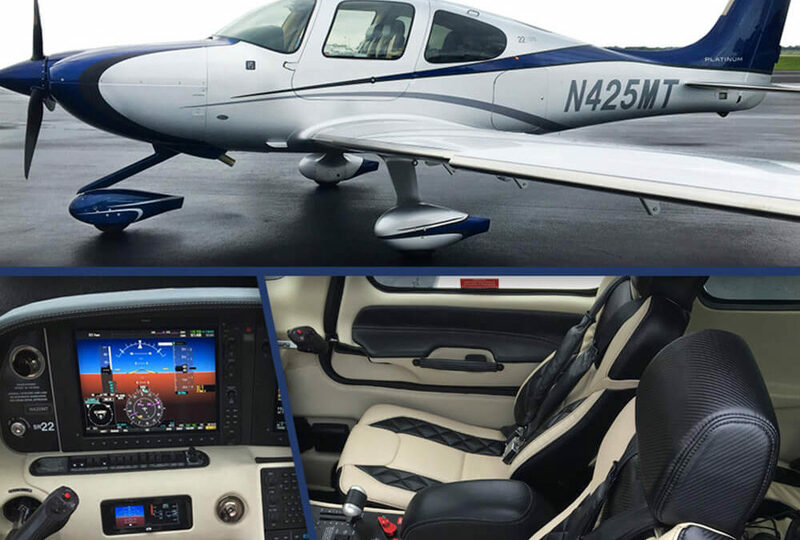 Silverhawk Aviation now has a beautiful 2015 Generation 5 Cirrus SR22 ready to suit all of your flying needs. The airframe is composite and incorporates the latest thinking in aerodynamics and survivability. Unusual doors lift upward and forward, opening up to a wide and comfortable cabin. The unique airframe is combined with the latest in avionics and engine management systems to reduce pilot workload and increase situational awareness. Other highlights include a parachute to bring the entire airplane to safety in the worst circumstances, full certification for flight into known icing, air conditioning, plush leather seats, beautiful all-glass cockpits, and more. The Cirrus SR22 really is unlike any other plane in its class, with a 310-horsepower engine capable of getting you to your destination at 210 miles per hour. Currently, we are selling 1/8 or 1/16 shares in the airplane, which gets you 50 or 100 hours per year, and gains you access to our entire fleet! Our program was developed with the local consumer in mind; one, upfront acquisition cost for your share, and then simple monthly payments. You get all the benefits of owning an airplane, without the hassle. We provide the pilot, the insurance, the hangar, and cover ALL maintenance costs, while you and up to two more passengers listen to the radio in comfortable leather seats and an air conditioned cabin. There are zero additional fees outside the monthly management fee. We already have two people making use of this plane, and for shorter trips to Denver, Kansas City, or a cabin in Minnesota it’s much more affordable than traditional charter. We are also in the process of adding it to our Charter Certificate, so if you aren’t interested in owning a share, we will soon also be able to provide another option to meet your travel needs. If you have any questions about the shares program, or chartering the Cirrus when it is available, please reach out to us!